THIS pairing is perhaps reminiscent of a scene from a Thomas the Tank engine story – the diesel shunter and a light ship. 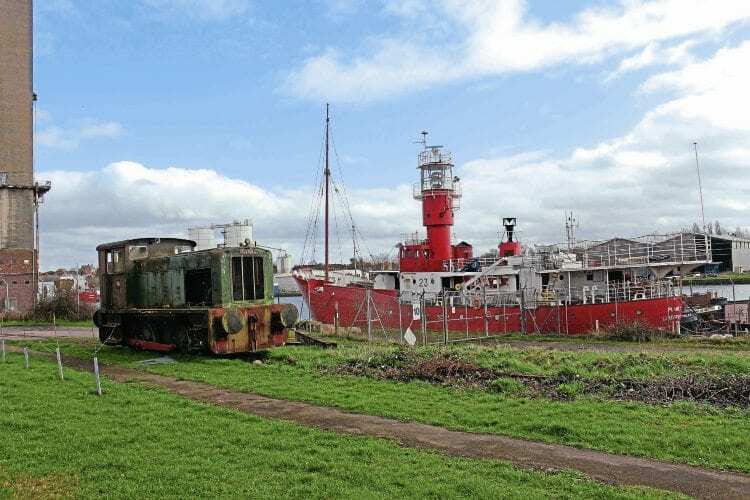 Both are in temporary storage at Sharpness Docks, Gloucestershire, just a few yards from the embryonic Vale of Berkeley Railway’s loco shed. However, the 0-4-0DH (Ruston & Hornsby 418793 of 1957) is not connected with the railway project as it is en route from the South Devon Railway, which it left last year, to an undisclosed location.